Let cookie dough stand at room temperature 10 minutes to soften. Microwave corn as directed on box; let stand 2 minutes. Heat griddle or skillet over medium heat (350°F). 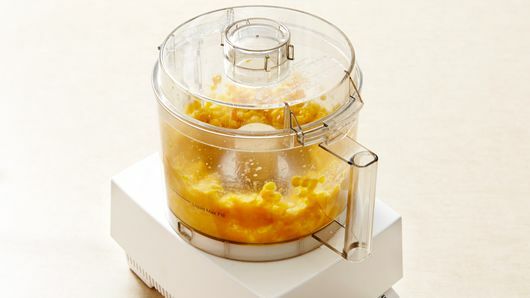 In food processor or blender, place corn. Cover; process with quick on-and-off motions until coarsely chopped. In large bowl, break up cookie dough. 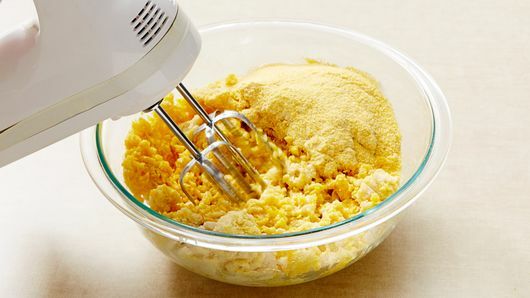 Add corn, cornmeal, eggs and 1/4 teaspoon salt. Beat with electric mixer on medium speed about 1 minute or until well blended. 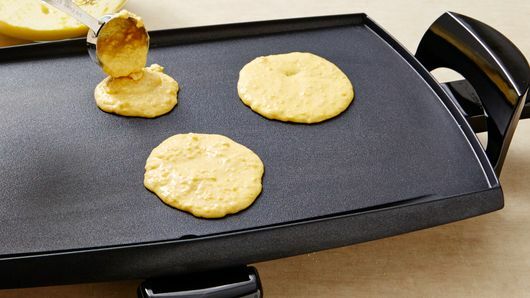 For each corn cake, scoop slightly less than 1/4 cup batter onto hot griddle; spread to 3 1/2-inch round. Cook 2 to 3 minutes or until bubbly on top and dry around edges. 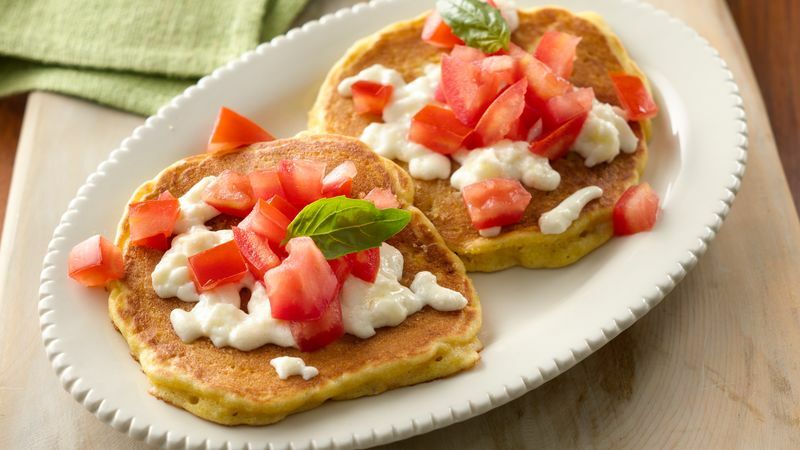 Turn; top each corn cake with 1 heaping tablespoon cheese and 1 heaping tablespoon tomato. Cook until bottom side is golden brown and cheese is melted. Top with 1 basil leaf. Serve warm.